How much of light plant needs? Lettuce under the LED light. In Europe it is common to measure the brightness of light by lumens and lux. In USA – by foot-candles. These measures show, how bright the light looks for the human eyes and are applicable to evaluate illuminance in interior lighting. It was also used for measuring horticultural lighting intensity, however, plants perceives light differently. Light for plant – it is mainly energy for photosynthesis, thus its quantity, reaching plants is measured as photosynthetically active radiation (PAR). This is the number of visible light (400-700 nm) photons reaching the area of square meter per second µmol m-2s-1 (Photosynthetic photon flux density, PPFD). PPFD measures are the standard in horticultural lighting and they are captured using PAR meters. If you were using high pressure sodium, fluorescent or metal halide lamps for plants up to now and measured illuminance by lux’s, you can convert it to PPFD using conversion coefficients. To convert the intensity of LED light using constant coefficients is not the correct way, however you can contact your manufacturer or supplier for this information. The conversion of light measures. If the measurement of light is novelty for you – the technical specifications of the LED lighting unit must provide information, what is the PPFD flux, created by the unit at the specified height above the plant. 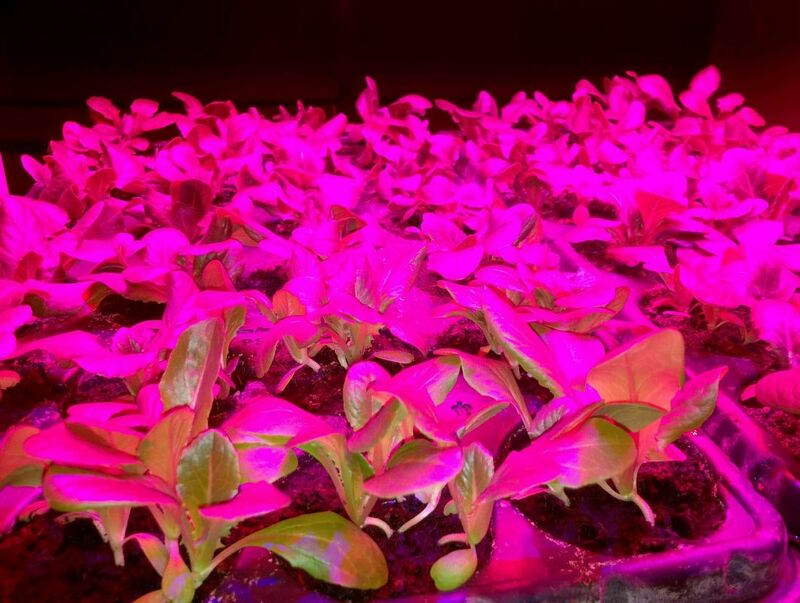 Optimal light intensity is differs for different plants, however, depending on plant species and LED lamp spectrum, PPFD should be ~150-300 µmol m-2s-1. Confused? Interested, what light intensity is optimal for your plants? Contact us, we will give you an advice.